W x L: 16" x 12"
Compare to Uline S-3637 and Save! 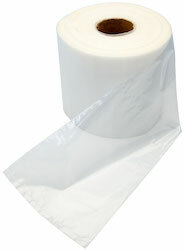 These 16" x 12" 3-mil slider zipper locking bags can be described with one word, "Convenience". These Easy to use slider bags open/close feature is what has made the SliderLock bags so popular. 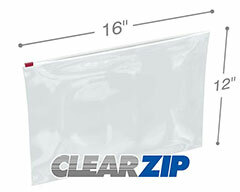 These Clearzip® Lock Top 16 x 12 .003 mil slider lock seal zipper locking bags great for a wide variety of applications such as, Healthcare, Restaurants, Kit Manufacturers, Document Storage, Agriculture, Airports, and in schools because they are simple enough to operate even for small children. These 16in. x 12in. 3mil slide zipper bags close quickly and easily the first time, and every time. 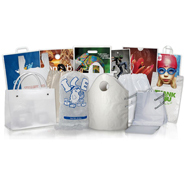 All Clearzip® Lock Top .003 mil slide lock bags are made of Made of Low Density Polyethylene (LDPE) resin and meets FDA/USDA specifications for food contact.